Maya is an 11-year-old Golden Retriever with a very kind heart. Although she is a senior girl, she is still in great health and has a lot of energy to share. She would happily go for a couple walks each day and then sit and enjoy some cuddles with her people. Maya has done very well sharing a home with cats and small children for years – even sharing her bed with a feline sibling from time to time! Maya tends to get nervous during thunderstorms, but as long as she has a trusted human companion nearby, she does much better. And, as is common with her breed, it's important to keep her ears clean. Although she isn't much for runs anymore, Maya enjoys playing fetch or splashing around in the water. Her current family is hoping to find her a home where she will get all the love and attention she deserves. Update: Maya has found a new family to call her own! I tried sending a message to the gmail address and would not go through. Sorry to hear of your loss. We lost our Big guy in Feb. and our only guy we have left is lonely. And I need more hair to vacuum. HAHAHAHAHA We went camping for a month and he would get so excited when he saw other dogs. At times taking him for a walk people would yell out CLIFFORD because he is so friendly and beautiful. People would ask if they could pet him and he would lean on them. I gal given a short time to live met Cliffy and loved on him every time she saw him and he loved her back. Goldens are special. Is there any update on a working email to reach out? I'd love the opportunity to chat with the owners and be considered as an adopter for this pretty girl. I have tried to email unsuccessfully. What a lovely girl Maya. I lost my golden retriever 3 years ago she passed away at 18 years of age and i miss her dearly. I am looking to adopt another golden retriever and if this pretty girl Maya is still available i would like to get in contact with the owners and would like to adopt her. She would be a good furbaby to keep me company when i am home and when i have to go to work she would be a good furbaby to keep my 72 year old mother company. 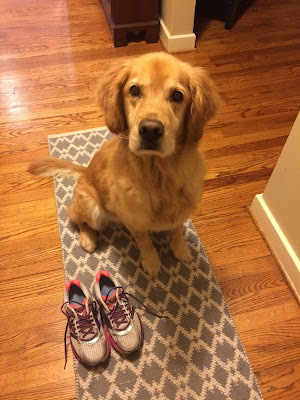 Mother misses our golden retriever very much and i would like to adopt this pretty furbaby maya. i would like to adopt this pup, i live in florida, is that possible? i have a golden ret, also adopted, 14+ years and is also thunder reactive. i just lost my 10 yr old golden ret so aly is pretty lonely. any chance?